The folks over at VICE posted this incredible video featuring “A day in the life of a Modern Exorcist.” Demonic possessions is often a hot topic around Halloween but for some, battling demons is a part of their job responsibilities. Fun to see how well the possession films compare to actual events. America has 12 trained exorcists and VICE put together this short 10-minute documentary for your enjoyment. James Wan created a terrific horror entity in The Nun featured in The Conjuring 2 (2016). Here is what I think is the best video yet featuring the horror character. Participants were led into a room which they thought was a waiting area for an interview about the film. Little did they know that it was all a horror prank, and the reaction they wanted was to film the fear and scares. Watch the scare prank video below and share. GSN’s Hellevator Season 2 premieres Friday, October 7, 2016, at 9:00 pm ET/PT. We were thrilled to be granted access to watch the first episode from the new season. Hellevator is one of those TV shows that combines both horror and game show into one. The first series snuck up on me and quickly became a household favorite of mine resulting in us binge watching the entire tv show on Hulu. So I bet you are wondering my thoughts on the new season of Hellevator. Jeff Hunt‘s Satanic (2016) hits Blu-ray, DVD, and Digital HD on October 4, 2016. Special features will include interviews with the cast, behind the scenes footage, and special effects breakdowns. Satanic was an okay film to watch, and I am happy that the special features did try to deliver additional content for the viewer. Sarah Hyland, Steven Krueger, and Justin Chon star in Satanic. 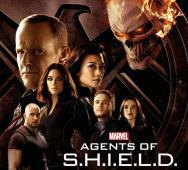 Are you still watching ABC’s Agents of SHIELD and are you looking forward to watching the new season? Marvel and ABC’s Agents of SHIELD Season 4 will feature Ghost Rider. The fourth season will have fewer cast members than the previous season 3 which should make the subplots more manageable and a little less complicated in having to flesh out each character and still deliver a terrific story. This poster features Gabriel Luna‘s Robbie Reyes as Ghost Rider and his Ghost Rider Hell Charger. The second news item is the September 20, 2016, premiere date and the new time at 10:00 pm EST, ouch, why so late at night? Netflix recently bought the streaming rights to the new cannibal film The Bad Batch (2016) directed by Ana Lily Amirpour (A Girl Walks Home Alone at Night (2014)). This film has a slew of high-end talent including Keanu Reeves, Jason Momoa, Jim Carrey, Diego Luna, and Giovanni Ribisi. This film is being described as a cannibal horror love story where a girl, played by Suki Waterhouse, is forced to wonder the Texas wasteland where she discovers a band of cannibalistic drifters. The Bad Batch premiered recently at the Venice Film Festival 2016. 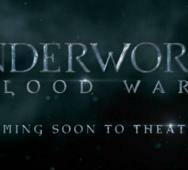 There is no release date attached to this film, but we will keep you posted once that news is revealed. 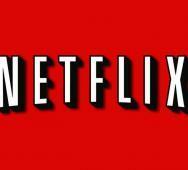 Here is a breakdown on all the influences for the for previous seasons of FX’s American Horror Story. 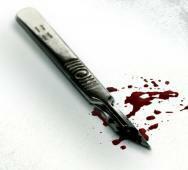 All of the listed items are based on true stories and real people who inspired the horrific TV series. 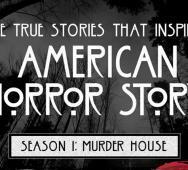 Many of the inspired stories were from serial killers or famous murders which include Black Dahlia, Richard Speck, Ed Gein, Delphine Lalaurie, The Axeman, John Wayne Gacy, Richard Ramirez, and H. H. Holmes. All surrounded by horrific events and circumstances. Season 6 of American Horror Story premieres on September 14, 2016. James DeMonaco‘s The Purge: Election Year (2016) was a hit at the box office taking in $105 million on a $10 million budget. This film has to be the best Purge film in the series. The Purge: Election Year releases on Digital HD this September 20, 2016; and then Blu-ray, DVD, and On Demand this October 4, 2016. The Blu-ray bonus features feel worthy of picking up the film, full details below. 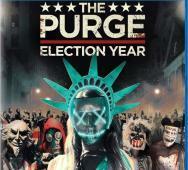 Frank Grillo, Elizabeth Mitchell, and Mykelti Williamson star in The Purge: Election Year. 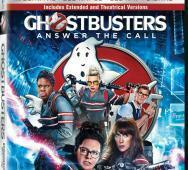 Paul Feig‘s Ghostbusters (2016) film is getting an extended edition 4K Blu-ray and DVD on October 11, 2016, and Digital HD release on September 27, 2016. The extended edition features over 15 minutes of never-before-seen film footage. Also, gag reels, deleted scenes, alternate scenes, and five featurettes. Full details in the press release below. 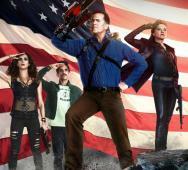 Ash vs Evil Dead Season 2 kicks off with new key art with Ash (Bruce Campbell), Ruby (Lucy Lawless), Pablo (Ray Santiago), and Kelly (Dana DeLorenzo) saluting the American flag, awesome. We’re also treated with a lot of behind the scenes/interview footage from the cast and executive producer Rob Tapert. Cannot wait for the premiere on October 2, 2016. GRIMM Cancelled with Season 6 as Series Finale!? 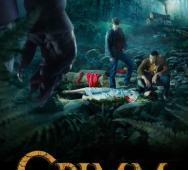 NBC’s Grimm Season 6 will premiere on January 6, 2016, with a shortened season six. Season 5 seemed to be heading to a smooth conclusion with news of the show ending with season six a little expected. It just seems natural that the show needs to end with the previous episodes somewhat entertaining besides the obvious push in action in every episode. 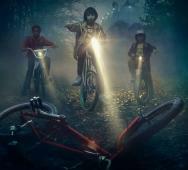 The big question now is whether NBC will give us another horror tv series or will they give up on the genre. What do you think, is it time to end Grimm? 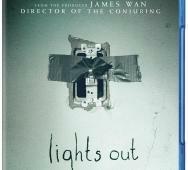 James Wan produced Lights Out (2016), directed by David F. Sandberg, will release on Blu-ray/DVD on October 25, 2016, via Warner Bros. Home Entertainment with the Digital HD release on October 11, 2016. The bonus features will include deleted scenes. Very lackluster special features with a film like this deserving more features for horror fans. Teresa Palmer, Gabriel Bateman, and Maria Bello star in Lights Out. The Darkness (2016) Blu-ray comes home via Universal Pictures Home Entertainment and is directed by Greg McLean. 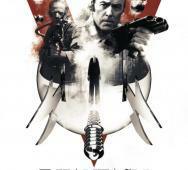 Click here for the full review of the film. This review will cover the Blu-ray (DVD, Blu-ray, and VOD releasing on September 6, 2016) and bonus features.